their next major update for Earthfall, the cooperative online first-person shooter, will be launching October 30 on Xbox One, PlayStation 4, and PC via Steam. 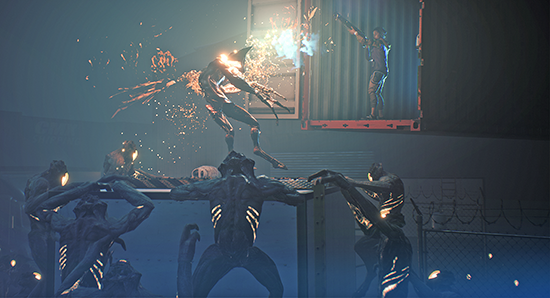 Horde Mode in upcoming Earthfall Invasion Update. The ‘Invasion Update’ will thrill shooter fans with the new Horde mode, player progression system with unlockable player abilities, and stunning re-designed weapon sound effects provided by renowned Hollywood sound studio Formosa Group (Blade Runner 2049, Deadpool 2, John Wick 3, Uncharted, God of War, Last of Us). 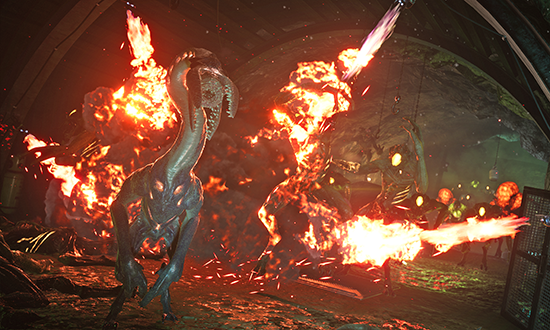 Looks who coming for dinner – Horde Mode in upcoming Earthfall Invasion Update. The ‘Invasion Update’ will deliver two of the Earthfall community’s highly requested features. Horde Mode will include four new maps where players will fight back countless waves of new alien monstrosities. The player progression system will enable gamers to unlock 50 levels of new cosmetics and players abilities. Lastly, award-winning sound studio Formosa Group has leveled up the weapons sounds in Earthfall: from the thunderous shots of the Desert Eagle, the sharp click-clack of AK47 machinery, and the sci-fi inspired Valkyrie gun that incinerates enemies, the changes to the weapon audio adds to the cinematic immersion as players fight back alien monsters in the Earthfall’s Invasion Update. 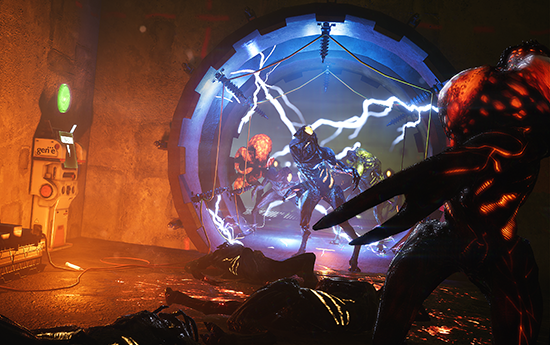 The Earthfall Invasion Update will be available October 30 and downloadable for free. Earthfall is now available on Xbox One, PlayStation 4, and PC via Steam.